Even if Baines was getting carried away about his home city, the growth that Liverpool experienced in the 19th and early 20th centuries was nothing short of impressive. While Manchester and surrounding Lancashire satellite towns grew into the Workshop of the World with a particular emphasis on textile production, it was Liverpool where raw materials were unloaded and finished goods to ships. Indeed, the docks here handled some 2.6 million bales of cottons for use in the 2,000 mills in the region in the 1860s. The prosperity brought by shipping seeped inland, right into the heart of historic streets of the medieval town (King John made it a borough in 1207 as an alternative to Chester). 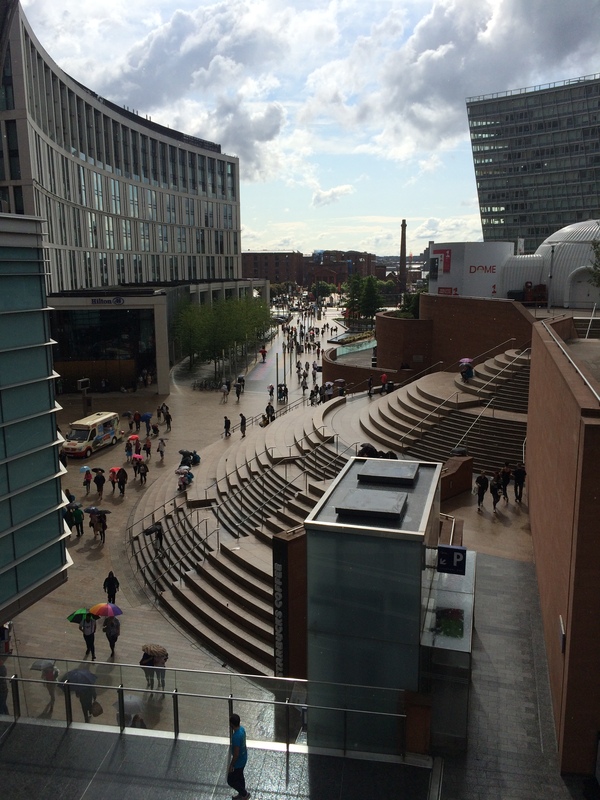 As a result, Liverpool can claim to have the first fully developed business district of any British city outside London. Banks, insurers, lawyers, commodity brokers and other institutions all vied for the best architects to design buildings that would become status symbols. The three famous landmarks of Liverpool that today stand proudly on the waterfront – the Port of Liverpool building, the Royal Liver building and finally the Cunard building – would be the epitome of this. Today, after years of post-industrial neglect and decline, Liverpool is sparkling again and proudly welcoming visitors to soak up its maritime heritage. Many of those solid buildings that grew with – or in fact helped grow – the city are still standing (all albeit with new uses) and can provide a narrative on the past. 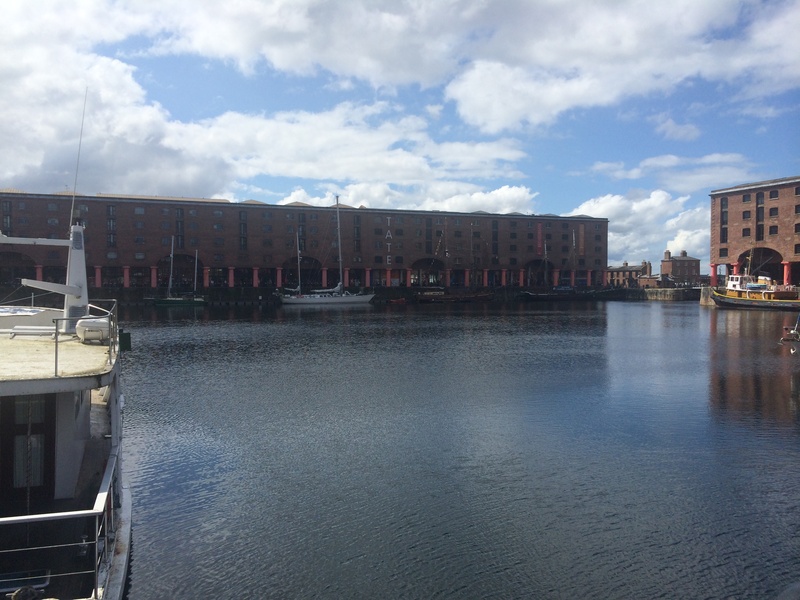 Of all the docks in Liverpool, Albert Dock is probably the most famous and is today enjoyed by countless visitors every year, particularly on a sunny afternoon in the weekend when the bars and restaurants are bustling. Designed by the engineer Jesse Hartley, it was built in 1847 with a high defensive wall to protect the theft of goods unloaded from ships. It followed in a line of docks built in Liverpool – stretching back to Old Dock (the world’s first enclosed wet dock, opened in 1715) – as the wharves became busier with increased trade. “For sheer punch there is little in the early commercial architecture of Europe to emulate it,” suggested architecture guide Pevsner. Albert Dock was well built, to the extent that the bonded warehouses (where goods were stored until customs were paid) are still standing. The dock itself was the first structure in the country to be built with cast iron, stone and brick, without the need for wooden supports, creating a system of non-combustible warehouses. And although long closed to commercial traffic (it was an abandoned in the 1980s and the water left to silt up), the buildings are back in use today – as restaurants, hotels, shops, offices and museums. For some time there was also a TV studio used by ITV’s This Morning programme which had a floating weather map in the water outside. Many of the original maritime features remain including bridges and moorings for boats. Perhaps one of the most interesting is a cannon-like object but is known as a ‘One o’clock clock gun’ which was sounded daily, at 1pm, so that those using the dock could synchronise their clocks. The hydraulic pumping station – a world first, dating from 1870 – which provided power the docks is also still standing and has been lovingly restored as a pub. Alongside boats which have been brought into Liverpool for restoration, other historic features remain such as the area where officials tested goods (like liquids) and a former cooper’s workshops where barrels were resealed. Reminders of the time when Liverpool was a dominant commercial centre can be found just a few streets back from the historic dock area. Building began here following King John’s decision to make Liverpool a borough in 1207 but it remained a backwater for around 500 years. The city (it officially became one in 1880) grew considerably in the 18th century on the back of the transatlantic slave trade when the likes of raw cotton, sugar and tobacco flooded into the wharves. Some new buildings sprung up in Liverpool in this period, but what we see today are mainly structures from the second half of the 19th and early part of the 20th century. And office interiors became more elegant in the 19th century as well, with one satirical magazine noting in 1868 they are now “designed by high-art architects at high-art prices, and are furnished by high-art upholsterers and cabinet-makers in a style of ‘princely magnificence'” Sadly many of these original features no longer remain, so we have to imagine the marble floors, sculptures and lavish decorative columns. The centre piece was of the commercial district just a stone’s throw from the Town Hall (the third one of these buildings stands today) was the Exchange. Originally built as a speculative development of offices and warehouses for merchants surrounding the Flags where the actual trading took place. 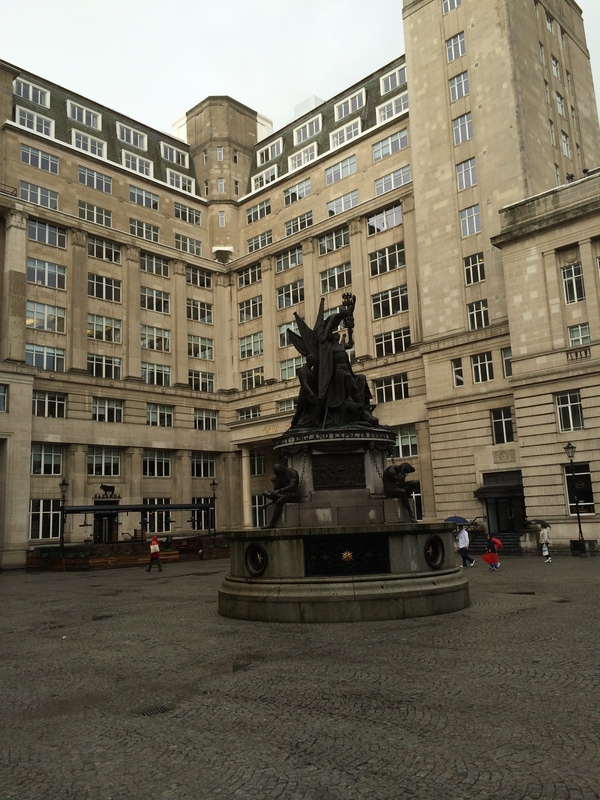 It was re-built in 1864 with purely office space as this was deemed more profitable. Interestingly traders continued to conduct their business outside until 1896 when the first indoor trading hall was built. Surrounding all of the offices were cafes and restaurants where workers who had travelled in from the outer areas of Liverpool could get their midday meals. There were also hotels in this district but the best ones increasingly moved nearer Lime Street and Central stations as the railway age matured through the 19th century. And of course this district also attracted the best shops, including wine merchants and upmarket tailors. The commercial district was a born as a direct response to Liverpool’s role as a city of Empire so when maritime trade sunk drastically by the 1980s many of the supporting professions also left as well. The rise of air transport, containerisation with favoured ports closer to the sea and an increased focus on trade with continental Europe (and hence ports in the South and East) were the poisons which brought death to the city’s inner ports. Although not the commercial centre it once was, many of these wonderful buildings remain standing and have found new uses, as bars, restaurants and homes. Organisations that need offices have by and large opted for completely new buildings in other parts of Liverpool; with modern technology requirements this is often the cheapest option. 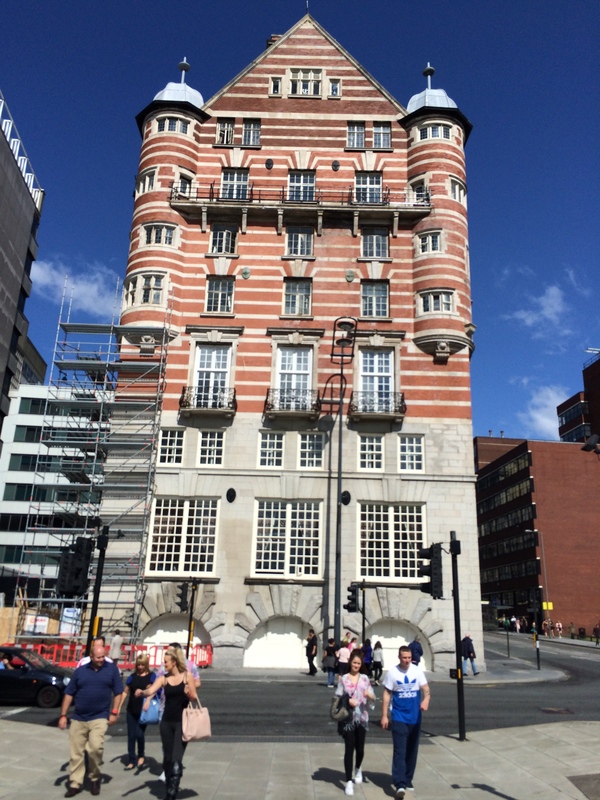 On a recent visit to visit to Liverpool I found the former White Star offices have now opened as a boutique hotel. Meanwhile the old grand Bank of England building with giant Doric columns conveying the financial institution’s strength and stability is up for sale, awaiting an investor to bring it back to its former glory. 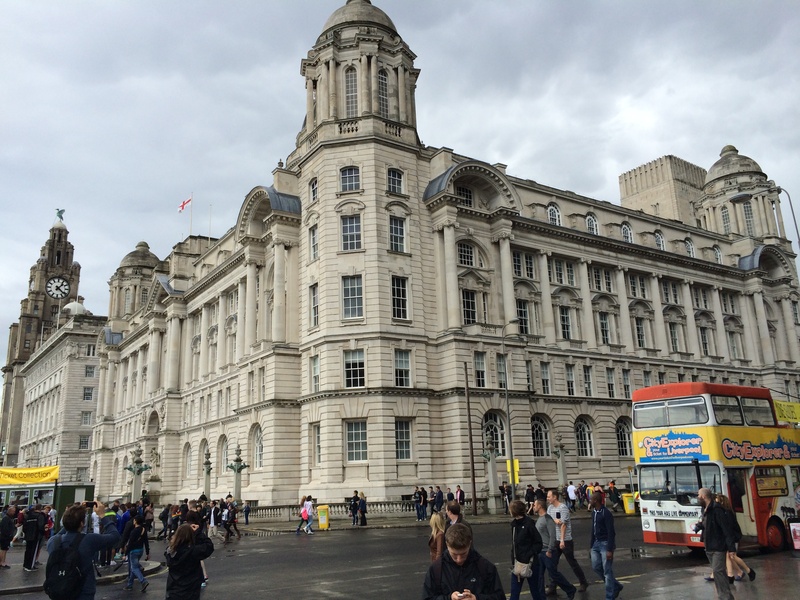 Back on the waterfront, the Cunard building – one of the three great landmarks that would have greeted so many people when they arrived in Liverpool by ship – has recently been acquired by Liverpool City Council and is due to become the port’s new cruise terminal. Currently around 50 liners arrive in the port each season, but officials are hoping this number can be increased. For a building that retains the luxurious first-class check-in area there couldn’t be a more fitting use for one of the emblems of Liverpool.